From Los Angeles to Lauscha, lampworkers worldwide depend on The Flow to be their nexus of information. 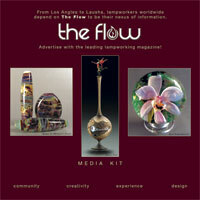 The Flow is a magazine by, for, and about flameworking and the lampworking community. We’re dedicated to exploring and celebrating our community from Los Angeles to Lauscha and highlighting the people, events, and ideas that make our community such an inspirational place. 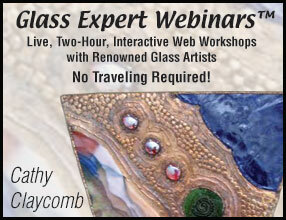 Over 5,000 lampworkers worldwide depend on The Flow to be thier nexus of information. spotlight lampworking artists and organizations whose vision and commitment are shaping our community. celebrate our contributions to the arts through the creativity of our artists to local galleries and museums. highlight our flameworkers' unique design expressions in working within our themed issues. explore their diverse styles and share their experiences that help define our world-class magazine. 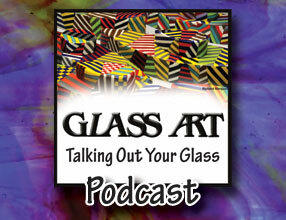 present in-depth tutorials that teach techniques from the newest emerging glass artists to the masters of the glass world. The Flow offers an editorial environment that is fresh and edgy without clutter or pretense, one that attracts writers and lampworkers who are passionate about their craft and our community. Advertise with the leading lampworking magazine! Request a Media Kit today by clicking here.